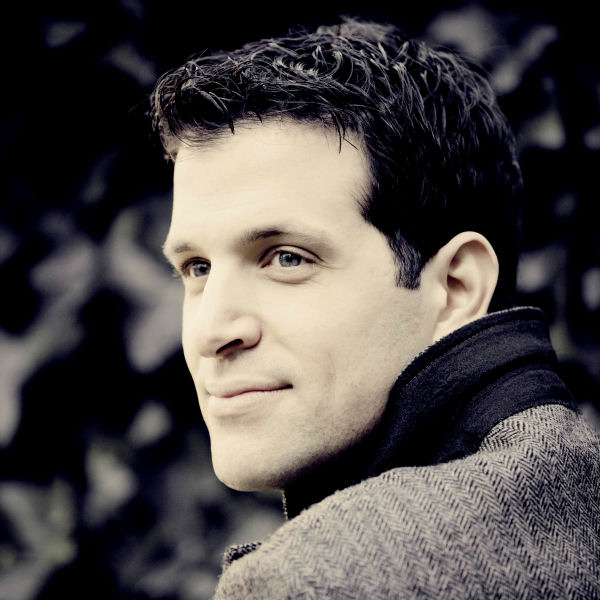 Italian bass-baritone Luca Pisaroni has established himself as one of the most captivating and versatile singers performing today. Since his debut at age 26 with the Vienna Philharmonic at the Salzburg Festival, led by Nikolaus Harnoncourt, Mr. Pisaroni has performed at many of the world’s leading opera houses, concert halls and festivals. Following a series of critically acclaimed performances of Leporello in Mozart’s Don Giovanni at the Salzburg Festival, Pisaroni begins the 2014⁄2015 season as Count Almaviva in Mozart’s Le nozze di Figaro at the Teatro Real in Madrid; a role that he will later perform at the Wiener Staatsoper and the San Francisco Opera. Mr. Pisaroni will also sing the title role in Le nozze di Figaro at the Bayerische Staatsoper in Münich and the Festspielhaus in Baden-Baden this season. He returns to the Metropolitan Opera stage to sing Leporello in Mozart’s Don Giovanni, led by Alan Gilbert, and he performs the role of Enrico VIII in Donizetti’s Anna Bolena at the Opernhaus Zürich and the Wiener Staatsoper. Concert appearances during the 2014⁄15 season include Mendelssohn’s Die erste Walpurgisnacht with the Orchestra of St. Luke’s at Carnegie Hall, under the baton of Pablo Heras-Casado, Haydn’s Die Schöpfung with Daniel Harding, Beethoven’s Missa Solemnis with the Los Angeles Philharmonic, Bach’s B Minor Mass with the Gewandhausorchester and Stravinsky’s Pulcinella with Music Director Michael Tilson Thomas and the San Francisco Symphony. He will also perform a series of recitals with pianist Wolfram Rieger, at the Muziekgebouw in Amsterdam, Carnegie Hall in New York City and the Vancouver Recital Society. After performing Guglielmo in Mozart’s Così fan tutte to enthusiastic notices at the Salzburg Festival last year, Mr. Pisaroni continued with a series of celebrated performances in the 2013⁄14 season, including the title role in Le nozze di Figaro at the Royal Opera House, Enrico VIII in Anna Bolena at the Wiener Staatsoper, and two appearances at the Metropolitan Opera, as Caliban in The Enchanted Island and Alidoro in Rossini’s La Cenerentola, which also received a Live HD international broadcast. Pisaroni also gave several additional performances last season, beginning in Weimar, and continuing with recitals in collaboration with pianist Wolfram Rieger, at renowned venues including The Concertgebow in Amsterdam, the Elbphilharmonie in Hamburg, Wigmore Hall in London, the Royal Conservatory of Music in Toronto, Vocal Arts DC in Washington D.C., the Internationale Musikfestival Heidelberger Frühling, Nourse Theatre in San Francisco, and the Musikverein Wien. Mr. Pisaroni also joined baritone Thomas Hampson for performances of their duo Gala Concert “No tenors allowed” in several cities, including Paris, Vienna and Baden-Baden. Pisaroni’s diverse repertoire includes performances of Le nozze di Figaro at the Metropolitan Opera, Opéra National de Paris, San Francisco Opera, Vienna State Opera, and the Salzburg Festival; Leporello in Don Giovanni at Glyndebourne, the Metropolitan Opera, and at Tanglewood with the Boston Symphony under James Levine; Guglielmo in Così fan tutte at Glyndebourne; Maometto in Rossini’s Maometto II at Santa Fe Opera; Conte Dorval in Martin y Soler’s Il Burbero di Buon Cuore at Teatro Real; Enrico in Haydn’s L’Isola Disabitata at Vienna’s Musikverein; and Tiridate in Radamisto. He sang Argante in Rinaldo at Chicago Lyric Opera, the title role in Cavalli’s Ercole Amante with De Nederlandse Opera, and Aeneas in Dido and Aeneas for the Wiener Festwochen. In concert, Pisaroni has performed Hasse’s I Pellegrini al Sepolcro di Nostro Signore, and Cherubini’s Missa Solemnis under Riccardo Muti; Schumann’s Das Paradies und die Peri with Sir Simon Rattle and the Philadelphia Orchestra; Zebul in Händel’s Jephtha with the Berlin Philharmonic, under Nikolaus Harnoncourt; Schumann’s Faustszenen with Daniel Harding and the Berlin Philharmonic; and Bach’s St. John Passion at the Théâtre du Châtelet. He has also sung Beethoven’s Ninth Symphony with Michael Tilson Thomas and Gustavo Dudamel; Haydn’s Die Jahreszeiten at the Musikverein Wien, under Nikolaus Harnoncourt; Rossini’s Stabat Mater with Franz Welser-Möst; Beethoven’s Missa Solemnis with John Nelson; Mozart’s Requiem with Yuri Temirkanov for the Accademia di Santa Cecilia; Brahms’ Ein Deutsches Requiem under Edo de Waart; Händel’s La Resurrezione with Il Giardino Armonico; and Bach’s Cantatas under the direction of Nikolaus Harnoncourt and the Concentus Musicus. In addition to his opera and concert appearances, Pisaroni is an ardent and dedicated recitalist, having performed at Carnegie Hall, the Ravinia Festival, the Concertgebouw, the Edinburgh Festival and the Schubertiade in Shwarzenberg, among other major venues. Mr. Pisaroni’s discography includes DVDs of Don Giovanni and Rinaldo from the Glyndebourne Festival on the EMI label, Le nozze di Figaro with the Opéra National de Paris, and a Deutsche Grammophon recording of Don Giovanni with the Mahler Chamber Orchestra and Yannick Nézet-Séguin. Recent releases include a Decca recording of Verdi’s Simon Boccanegra, alongside a spectacular cast including Thomas Hampson, Joseph Calleja, and Kristine Opolais as well as a Sony recording of Don Giovanni from the Festspielhaus in Baden-Baden, also featuring Anna Netrebko and Erwin Schrott. Luca Pisaroni lives in Vienna with his wife, Catherine. Their golden retriever Lenny 2.0 and miniature dachshund Tristan are the singer’s constant traveling companions.